When you made the decision to sell products online, your initial focus was likely on your inventory. How will the products get made or be aggregated from others? How should you display them to shoppers? How do you determine the right pricing for each? In all that time, though, did you give any thought to the features of the eCommerce website itself? It’s not something people who are new to eCommerce generally think about right off the bat. Part of that is because of tools like WooCommerce and Shopify that make it seem easy to get an online store up and running… which is partially true. eCommerce platforms certainly expedite the process. However, there are still strategic choices you’re going to be responsible for making. If you want to optimize your store’s ability to reach customers and sell to them, you’ll need these 12 must-have eCcommerce website features. It’s no surprise that a slow eCommerce website leads to an undesirable shopping experience. But did you know that studies show that online shoppers are only willing to wait about 2 seconds for a web page to load before they abandon it? 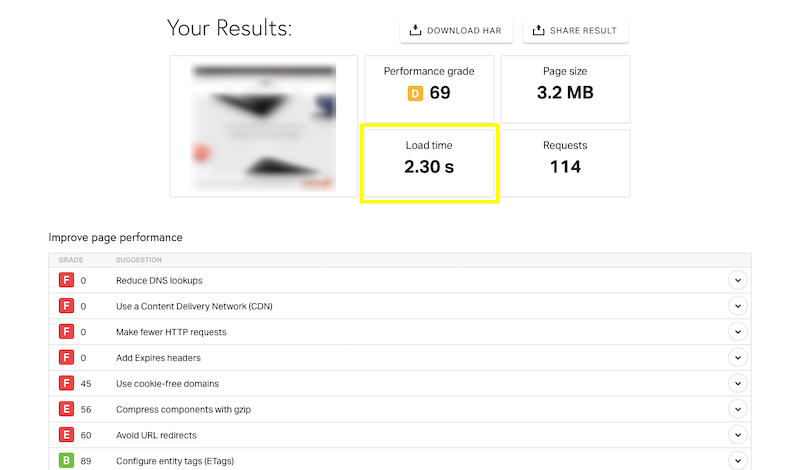 By using a free online speed testing tool like Pingdom, you can find out how quickly your website loads. Pingdom also provides helpful suggestions on reducing server load to get your speeds up. 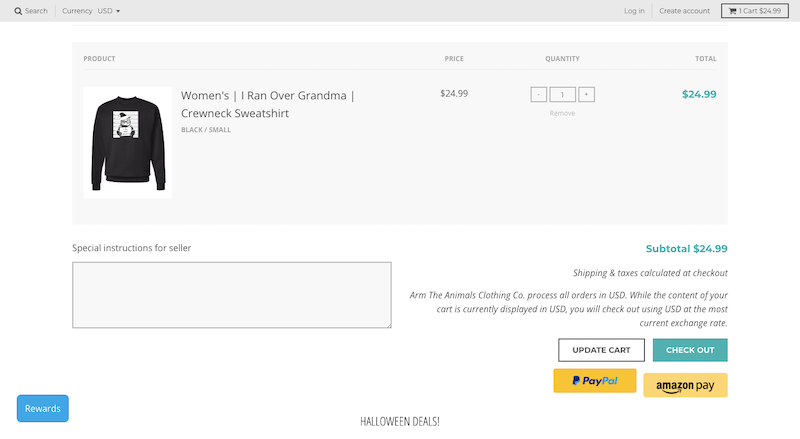 Before you do anything else, prioritize this eCommerce website feature and optimize loading speeds. Security is another essential eCommerce feature. There are plugins that can handle a good portion of security monitoring and defense needed to keep shoppers’ credit card information safe. Your website will also need an SSL certificate. Your shoppers will be able to find proof of your SSL certificate (i.e. website encryption) in the address bar. The HTTPS in the URL signals that transactions will be sent securely from the shopper’s browser to your server. Your shoppers will look for security trust marks like these to assure them that a purchase can be safely made on your site. A mobile responsive design is non-negotiable in this mobile-first world. In fact, data published in Akamai’s State of Online Retail Performance Report demonstrated what a powerful force mobile is for online sales. The only problem? Many mobile users don’t feel confident about pulling the trigger from their devices. Just because this online store needs to be shrunk down to the size of a mobile device doesn’t mean anything has to be lost in translation. The modularized and minimal design works perfectly on mobile, too. If you want to capture more mobile sales — rather than force visitors to switch devices to make a purchase — design your store to be accommodating to all users. The great thing about doing business online is the ability you now have to reach a much greater audience. You’re not restricted by distance. That said, this makes the delivery of content a bit more complicated as you expand the borders of your consumer base. For those of you who sell to customers on an international scale, you have to take things like language and currency differences into consideration. But there’s an easy way to give your shoppers control over this. Within the navigation bar, users have the option to change localization settings. This will affect the language, currency, and/or other region-specific content to their own. 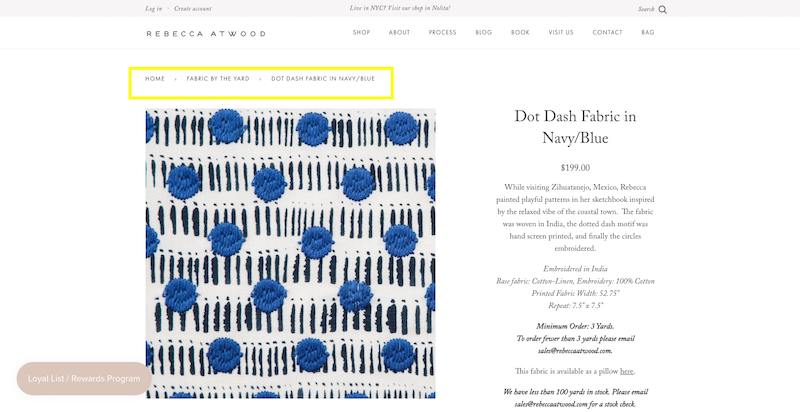 Many eCommerce websites include this feature, but prominently display it with a flag icon in order to more quickly direct users to localization settings. It doesn’t matter how big your store is. Shoppers don’t want to have to work their way through a complicated navigation menu to find what they’re looking for. That’s why one eCommerce feature your site must have is a simplified navigation. 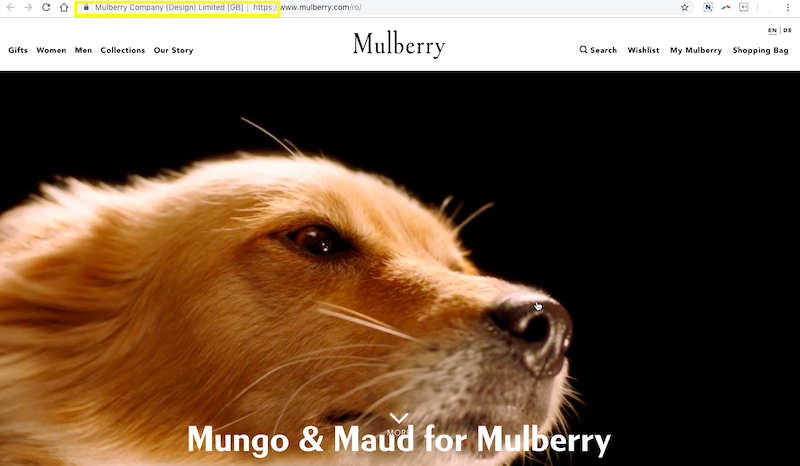 You can also use your menu to drive visitors to parts of the website they might not have been aware of. 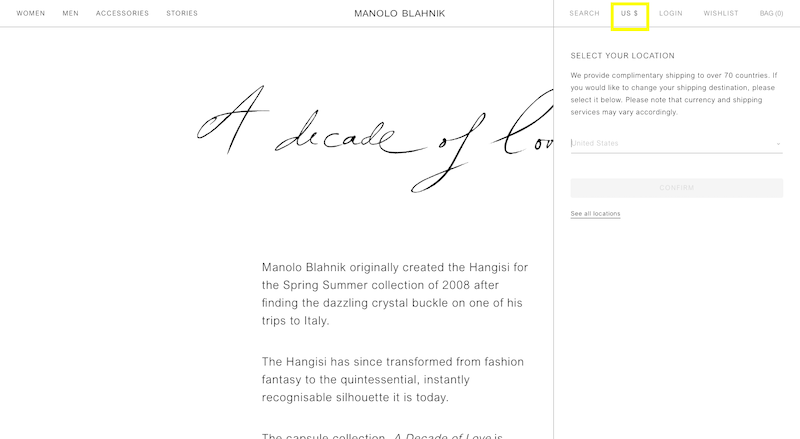 In the example from Staud, the “New” menu shows off seasonal collections. There’s also the “Gift Guide” which directs shoppers to hand-picked items for the current season’s needs. It’s a well-thought-out structure that’s sure to get noticed by visitors. 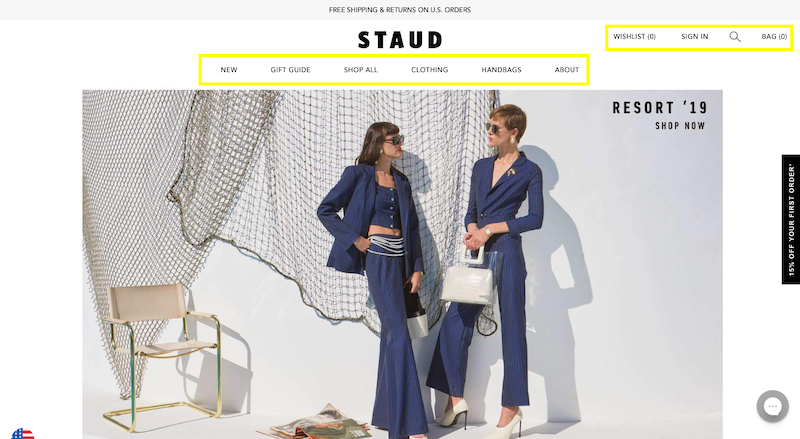 While you can greatly simplify navigation, you have to create other ways for shoppers to drill down to find items to fit their specific needs. This is why you include advanced search functions. But that’s not the only advanced search function this website includes. Take note of the breadcrumbs navigation above the product image. 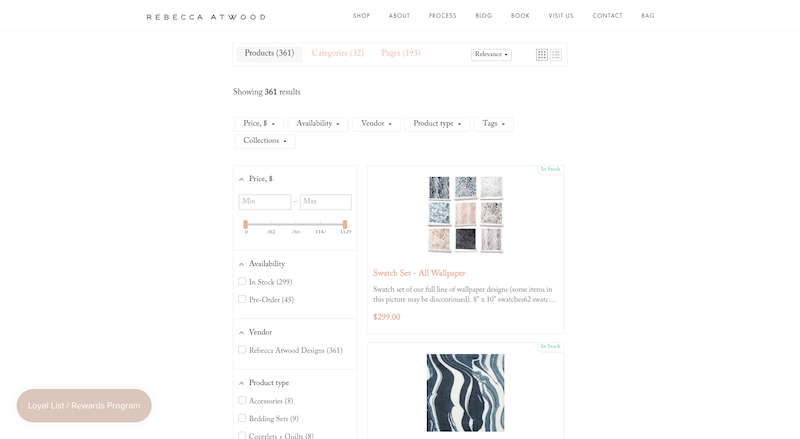 This is a feature every eCommerce website with a large inventory must use. 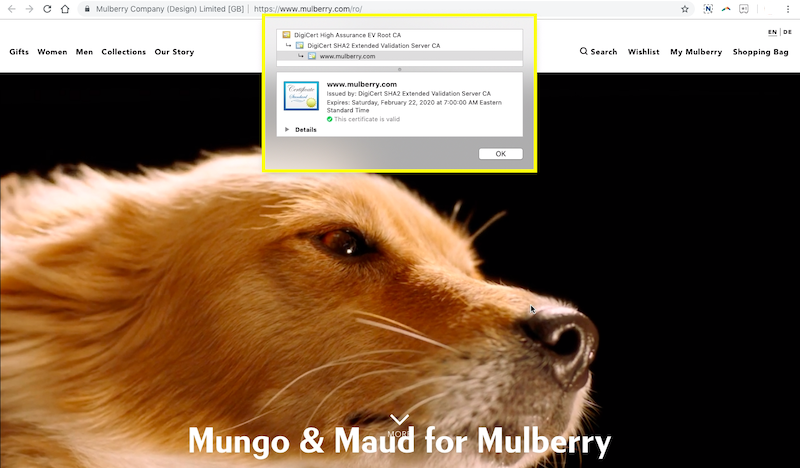 Instead of forcing users to retrace their steps through the navigation or to use the “Back” button in their browser, they can step back through the categories that brought them to that point. 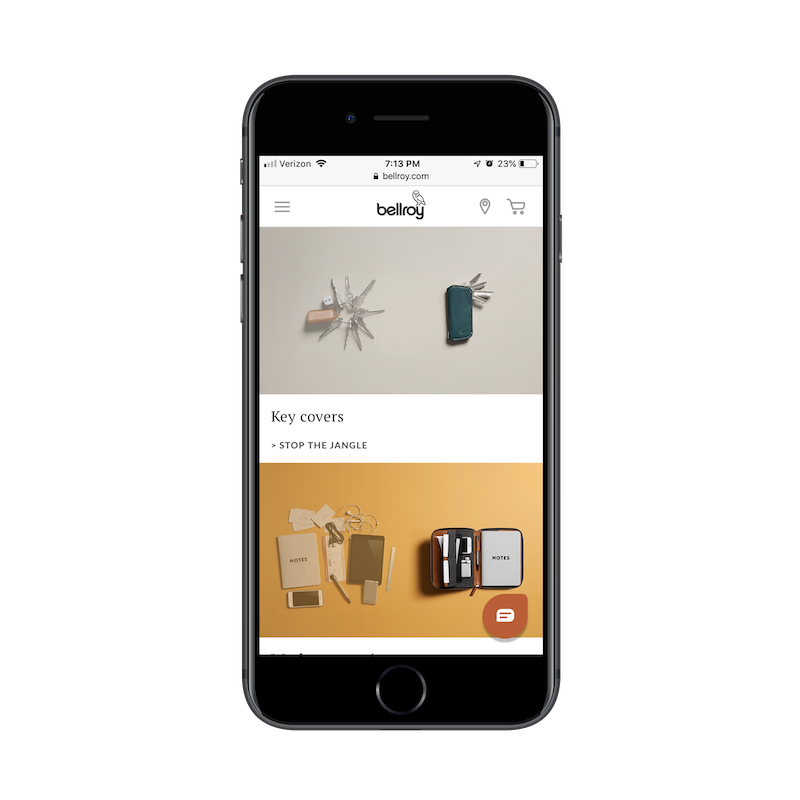 It’s a more efficient way of exploring product inventories. 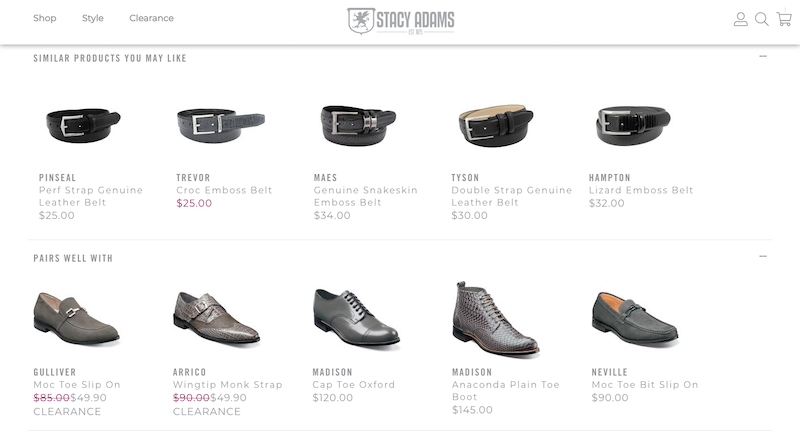 Product pages give each item from your inventory a chance to shine on their own. But don’t take your consumers’ time for granted. Just as they expect your web pages to load fast, so too do they expect to obtain information on your products. Overload them with too many details and you could lose them. The same goes for products too light on the details. Impressive photography that shows off the item in all its variations. Succinct product names that clearly explain what it is. Descriptions that aptly describe the benefits of buying the product. Use product specification lists below the fold to break down technical details. Configuration toggles to change size, color, fit, and so on. A clear callout of the price. Bold and easy-to-find “Add to Cart” button. Want to see a beautiful example of this in action? 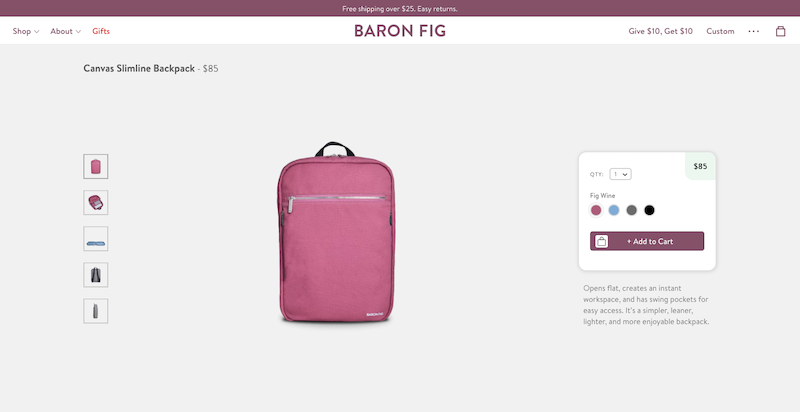 Take a look at the Baron Fig website. Another reason why visitors to your online store might be hesitant to make a purchase is the lack of social proof. Unless someone they know has already vouched for your brand, it’s quite difficult to convince them to convert (i.e. buy) without proof that others are happy with their purchase. It’s also a good way for them to get a sense of what it’s like to use the product without ever trying it. 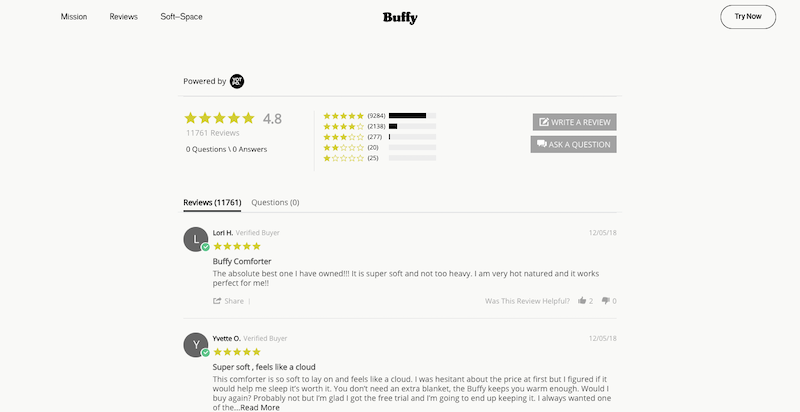 That’s why user reviews and ratings are an eCommerce feature your site must have. Just as you would expect sales attendants at a brick-and-mortar store to do, you need your website to actively sell and upsell shoppers as they browse your offerings. Your website, the navigation, and product pages will all contribute to this. But you need to add a few more eCommerce features to make the most of this opportunity. Beneath each product image and description, shoppers can find a list of similar products in case that one didn’t fit the bill. This is a great way to recover shoppers disappointed by one product by giving them other choices relevant to their search. Beneath that is a list of products that pair well with the one they’re looking at. This is a nice example of cross-selling. When shoppers have questions about an item in store, there’s usually someone around who can provide an answer. Shopping online, however, makes this more difficult. 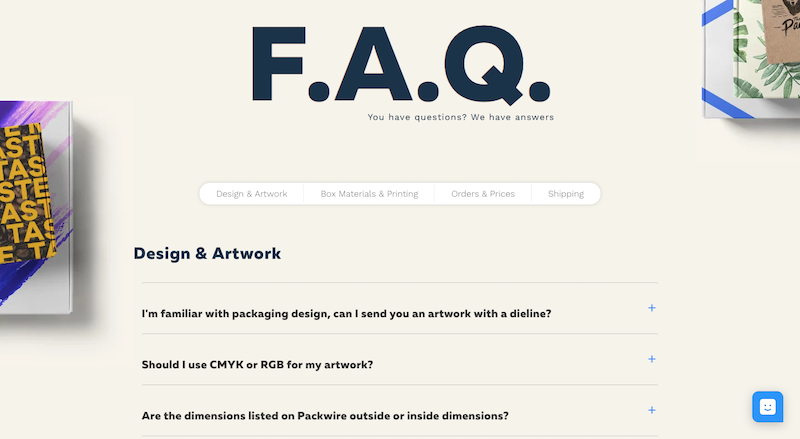 Or, if you have a large and varied inventory of products, include a brief list of FAQs for each product beneath the description. This way, visitors can educate themselves before reaching out, which will expedite the shopping process. If that doesn’t work, then you’ll need backup support to handle questions about products, delivery, returns, and so on. There are a number of ways to do this. At the very least, your eCommerce website should have a live chat that’s manned by a real support person during traditional business hours. If you want to provide a ticketed support portal, phone number, direct email, or contact form, that’s up to you. 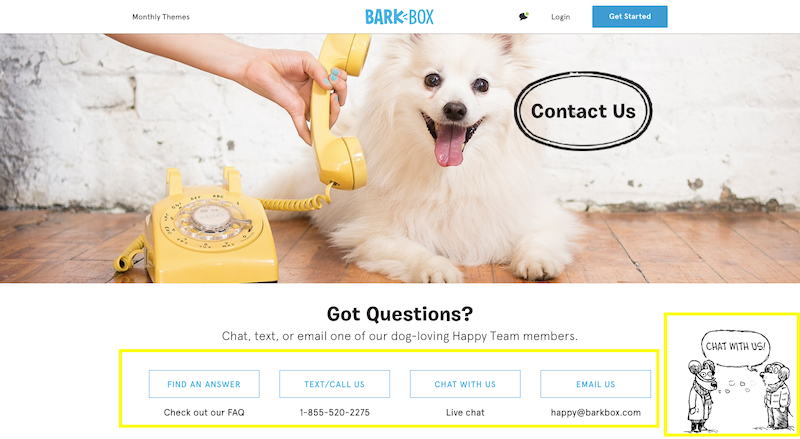 Just make sure you offer visitors an easy way to get in touch quickly. You don’t want to hold up their purchase! While it’s great that the web has provided retailers like yourself with a way to sell and take payments for products online, you don’t want to be processing these the way you do in store. Automation is key in online payment processing, which means your eCommerce website needs a payment gateway tool. That said, be very careful about what you use. You’ll need a checkout tool that doesn’t create too many steps for your shoppers (again, this goes back to their waning patience). You’ll also need a payment processor that handles their credit card information securely. Shoppers have a number of checkout options to choose from, but take note of the PayPal and AmazonPay icons. Both of these are trusted names in payment processing, which is a smart move on Arm the Animals’ part. These payment trust marks more effectively put shoppers’ minds at ease while also doing the same for the company since they know payments will be handled with care by experts. 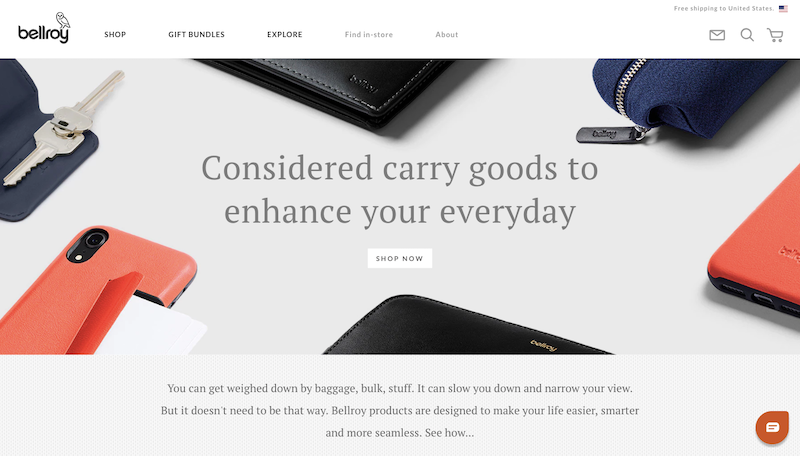 Although your eCommerce platform is going to do a lot of this work for you, make sure to review how each of these essential eCommerce website features have been handled. If your website is missing any, look to plugins and other integrations to weave these loyalty- and sales-boosting features into your site. You can’t afford to go without them.